German cockroaches are one of the most common roaches found in hotels, apartments and restaurants as well as many homes. German cockroaches (eggs included) are introduced to areas hitching a ride on our belongings, boxes, suitcases and various packages. Cockroaches are cold-blooded insects and in general are very adaptable. They can live up to 3 weeks without food, 1 week without water and are prolific breeders. German cockroaches look very different from the big brown cockroaches that fly into your home. German cockroaches don’t fly so their eggs have to be transported into our living environment. Once inside, they will nest in warm areas so refrigerator motors, computers, electric kettles, dishwashers and other appliances are very appealing to them. You will recognise them immediately as they are small (only 1 to 2 cm in length) and pale brown in colour. You’ll soon notice if you have a problem with German cockroaches as their excrement looks like black pepper. If you find you have an infestation on your hands, then the only way to deal with it is to call in the professionals. Anyone who has had experience with these cockroaches will tell you they can be almost impossible to wipe out unless you know exactly where to look for them. We have found them breeding happily in curtain rail rods and in the legs of furniture. Don’t waste time and money trying to eradicate these critters yourself. Call the team at Hitman on 1800 1800 32 and they will book you in a time for our Complete Pest Package for just $250. 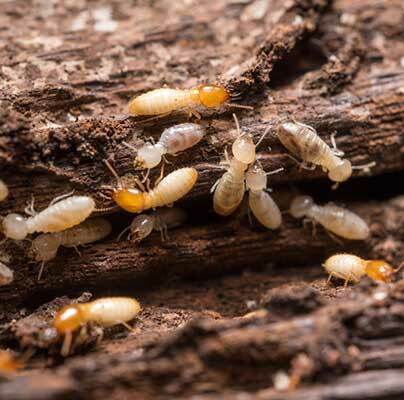 This has a full 12-month warranty on german cockroaches, so if you find the problem persists or if you are re-infested 6 months down the track, your technician will fix the problem free of charge. This price also includes a FREE termite check PLUS your price is locked in, year after year and guaranteed when you continue your annual treatments with Hitman.